I met a woman at a Pi Beta Phi alumnae social a few years ago. I remember thinking, I haven’t seen her before. So, as someone who loves to talk to strangers,I sidled up next to her and began what would become a friendship and partnership that I couldn’t be more excited about. Claire Yanta-O’Mahoney began to share her background with me, a Tulane Pi Beta Phi alumnae born and raised in St. Louis, obsessed with all things fitness, and she recently moved to the Virginia Beach area with her Marine husband. She shared with me another cool organization: The Milspo Project. I remember saying, nah…I’m good, I don’t need another networking organization, and years later, we both now serve in advisory roles within this organization! Claire and I went on to hang out with each other in business, her learning more about marketing and advertising from me and me bombarding her with questions about fitness until she finally talked me into having her train me via her company, Fleur de Lis Fitness. I was so frustrated at the time, not being able to get a consistent workout in because I was trying to run my business, so my schedule was a disaster. I was stressed and not taking care of myself, eating at crazy times and not feeling well. Our sessions turned out to be mutually beneficial. While training me, we’d talk about our businesses in advertising and fitness and we’d spin ideas off of each other. I remember stopping the rope slams at one point because I was so stressed out about everything and my mind wasn’t really there. Also, I hate rope slams. I’d rather do anything but rope slams. 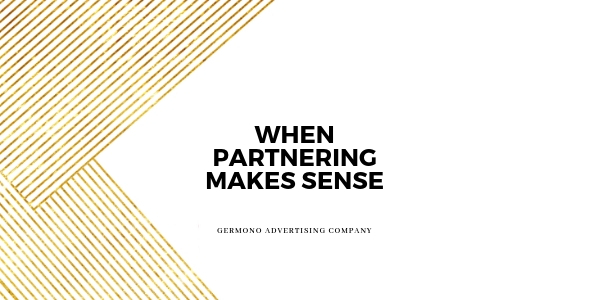 We paused and then she ordered me to keep going, which is the same advice I give to clients who are frustrated with their marketing and that is when it clicked. We help people focus on an area they want to improve. I help people clear the clutter and noise of advertising and she helps people attain their fitness goals. We both do this for our clients virtually via Skype or Zoom. We both take a consultative one-on-one approach. We both take continued education seriously and are tenacious in our respective industries. In the middle of her telling me to do an inverted push-up…I shot up and said HEY! You know what we should do?! Package our services together and offer them to other business owners who need help. 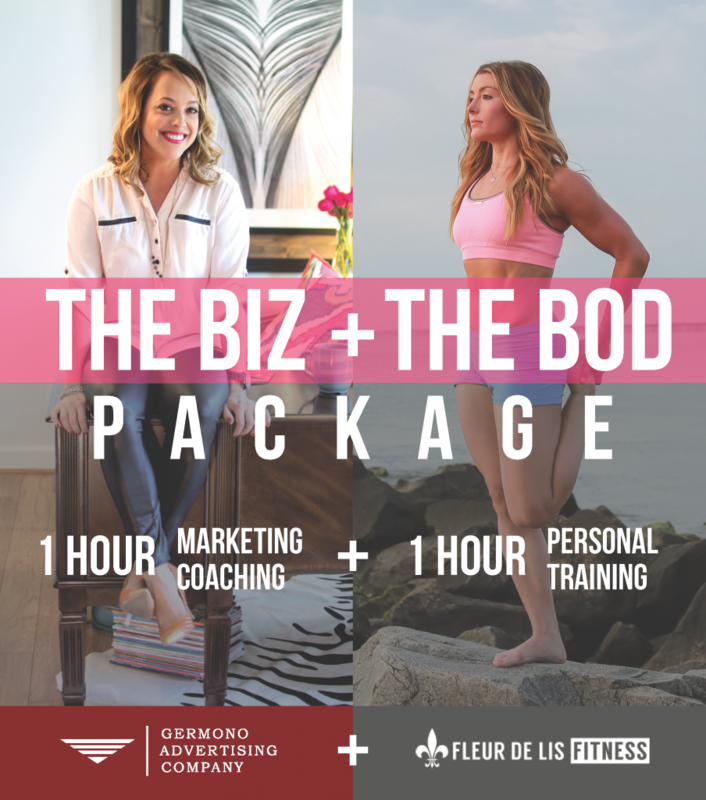 So, that’s what we’re doing- you get 1 hour of marketing coaching by yours truly and 1 hour of personal training by Claire. Two business women who care about you and your business. And that, my friends, is when a partnership makes sense. Package value $245. Yours for only $199. This offer expires 10/2/16.